Don’t turn your back on traditional working-class voters who backed Leave. Two years on with constant attack by both our own comrades within the Labour Party and the middle class centralist telling the working class leave voters that we did not know what we voted for, that we have changed our minds they even tell us we want a second referendum because the facts have changed “nobody voted to be poorer” they say. Here is the fact we knew exactly what we voted for and have not changed our minds. While it is true we did not vote to be poorer it is also true the EU has done nothing to keep poverty from our door. a certain UN report can prove that. While the blame may lay with national government we await the EU comment on the subject after all don’t remainers tell us the EU protects us from Tory excess? 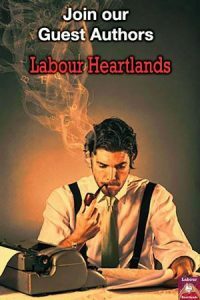 The Leave voting Labour Heartlands are the poorest areas within the UK and some areas even top the poorest areas in the entire EU. We voted to leave and we fully expect our democratic decision to be carried out. John Pilger wrote the article below 2 years ago he captured the working class and their mood in voting to leave the EU. The aim of this extremism is to install a permanent, capitalist theocracy that ensures a two-thirds society, with the majority divided and indebted, managed by a corporate class, and a permanent working poor. In Britain today, 63 percent of poor children grow up in families where one member is working. For them, the trap has closed. More than 600,000 residents of Britain’s second city, Greater Manchester, are, reports a study, “experiencing the effects of extreme poverty” and 1.6 million are slipping into penury. The kind of ruthlessness Kettle longs for is found in Greece, a country now airbrushed. There, they had a referendum and the result was ignored. Like the Labour Party in Britain, the leaders of the Syriza government in Athens are the products of an affluent, highly privileged, educated middle class, groomed in the fakery and political treachery of post-modernism. The Greek people courageously used the referendum to demand their government sought “better terms” with a venal status quo in Brussels that was crushing the life out of their country. They were betrayed, as the British would have been betrayed. 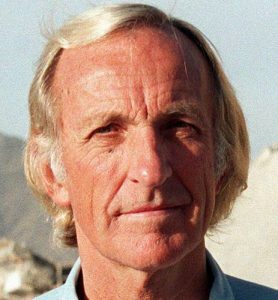 John Richard Pilger is an Australian journalist and BAFTA award-winning documentary filmmaker. He has been mainly based in the United Kingdom since 1962.